Can I customize the emails or SMS messages that are sent out? 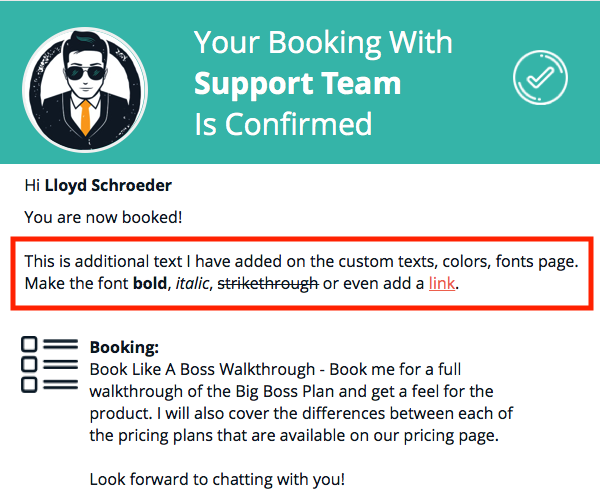 Email customization and how to add extra details to them as well as SMS messages that are sent out for bookings. At the time of writing, we do not currently offer the ability to customize these emails that are sent out to your customers. However, in the interim, there is an ability to add extra details to the bottom of any emails that are sent out. 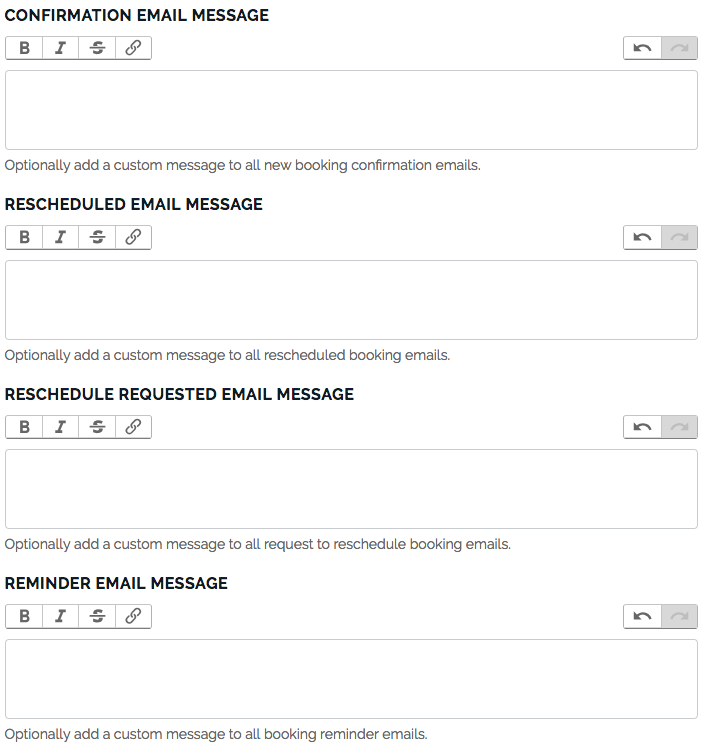 These messages are not customizable at the time of writing and are only sent for reminders, not booking confirmations or cancellations and so forth. The SMS that you and or your customer will receive will look like the following image sent prior to the appointment as per the settings you entered in the reminder modal window.